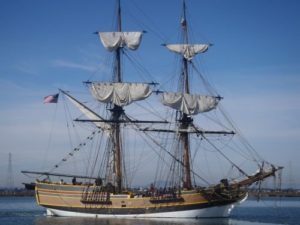 Join the Coos Bay Downtown Association and the Lady Washington, as she visits Coos Bay on April 11th through the 17th. The Lady Washington will offer Vessel Tours from the dock, Evening Sails and Adventure Sails. Vessel Tours open the ships to the public for a suggested donation of $5 per person. Come experience the ship and meet her crew! Sailing guests will embark on a two-hour sail experience. Adventure Sails and Evening Sails feature sailing as it was done for hundreds of years. Join in sea shanty, enjoy breathtaking views, and meet the modern day crew that travels the Pacific Ocean coastal waters. A ticket is required for all passengers, including babies. Children 16 and under must be accompanied by an adult. Refreshments are not provided, but guests are welcome to bring your own (no glass containers, please). Accessibility is addressed on a case-by-case basis, so please talk to us ahead of time to be sure we can accommodate your needs. Call 1-800-200-8239 for tickets and information or or online. A ticket is not required for vessel dockside tours. 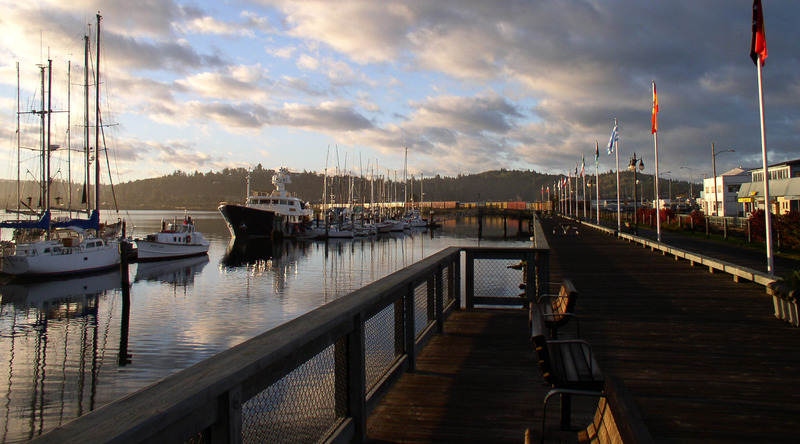 Visit Here for a list of events happening for the Maritime Legacy Days.